Oh! I found something to post! 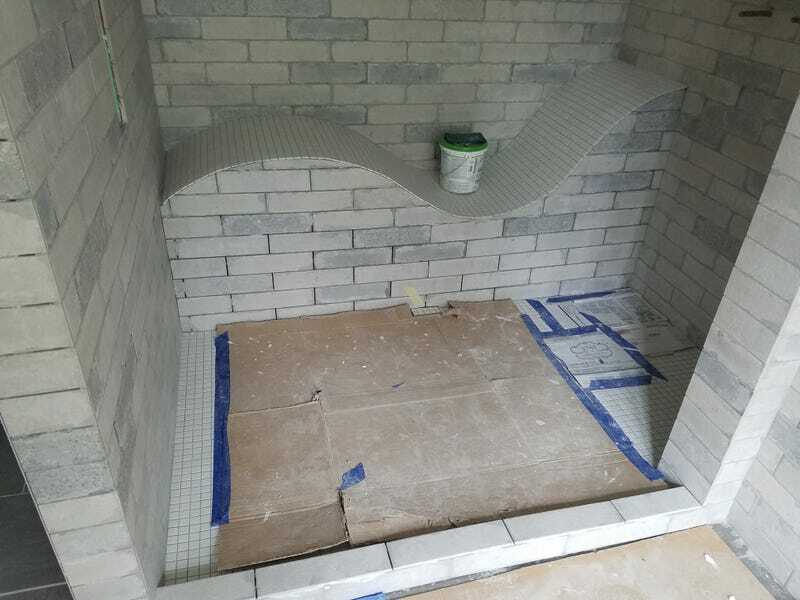 Check out this bench in a shower pan.